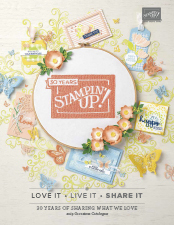 Earlier this month, I attended a Stampin’ Up! training day in a brand new format that was a worldwide event in 12 locations; Brussels (Belgium), Perth & Melbourne (Australia), Auckland (NZ), Edmonton & Mississauga (Canada), Baltimore, Dallas, Milwaukee, San Diego, Tampa & Vancouver (USA). It was quite unique and a great celebration! Check out those metal water bottles that we each received, along with a tote bag, notebook, pens and a stamp set! On this day we also received a copy of the new Occasions and Sale-a-bration catalogues. But first, I want to share with you a couple of the Make n Takes we created on the day. These were smaller samples, but when I got home I made them up into full cards. I am loving some the new Designer Series Papers, they are bright and bold, and some with gorgeous florals too! There are loads of coordinating products like stamps, punches, framelits and beautiful embellishments to match the product suites. I am definitely getting the Going Places Product Suite for my masculine projects and Memory Keeping pages! And best of all, I won Prize Patrol and this is a card I’ve made with it. 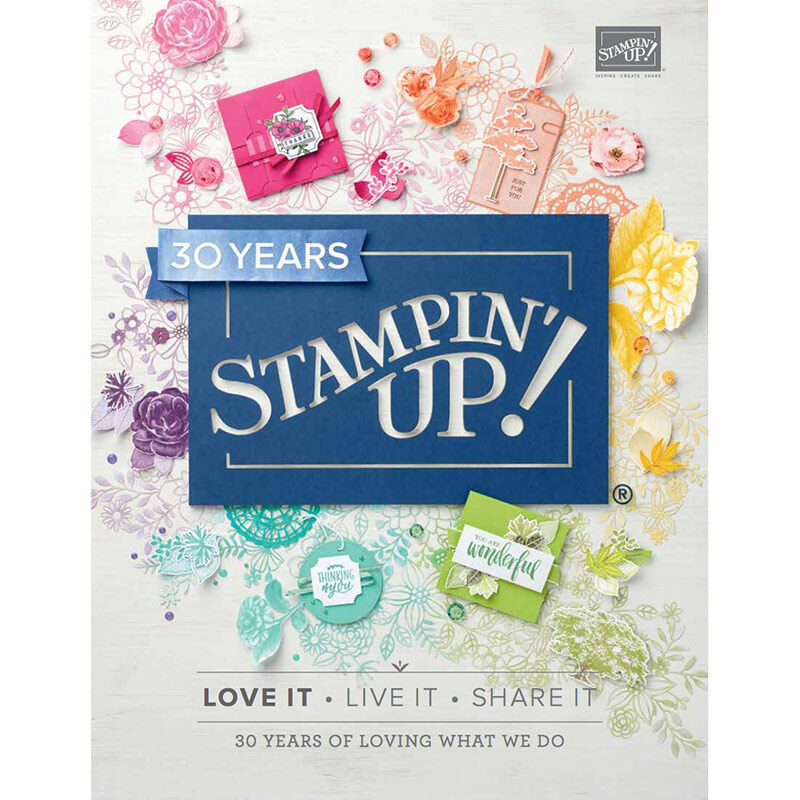 It is one of the Sale-a-bration stamp sets you will be able to get for FREE with any $90 order in January!!!! If you are excited as me, then you will need to get your copy of the catalogues early because 5th January is the date you will be able to start purchasing these products. Please email me so I can mail you a copy in December on cardsbykate@live.com.au. Let the excitement begin and Happy Stamping!